Type TVJ | TROX Malaysia Sdn Bhd. The control components (attachments) include a differential pressure transducer that transforms the differential pressure (effective pressure) into an electric signal, a controller, and an actuator; the control functions can be achieved with an Easy controller, with a Compact controller, or with individual components (Universal or LABCONTROL). 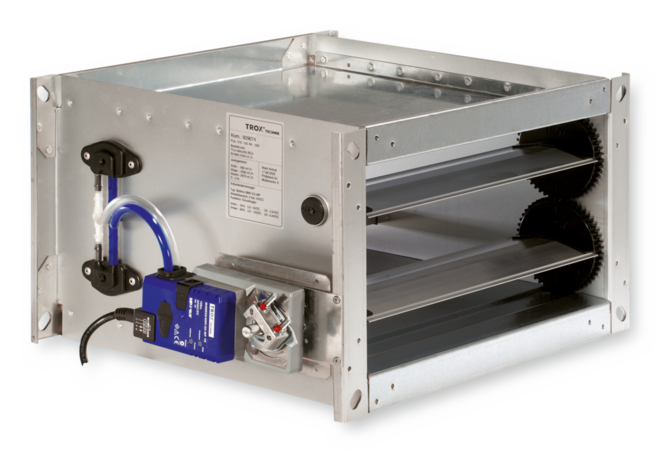 For most applications, the setpoint value comes from a room temperature controller. 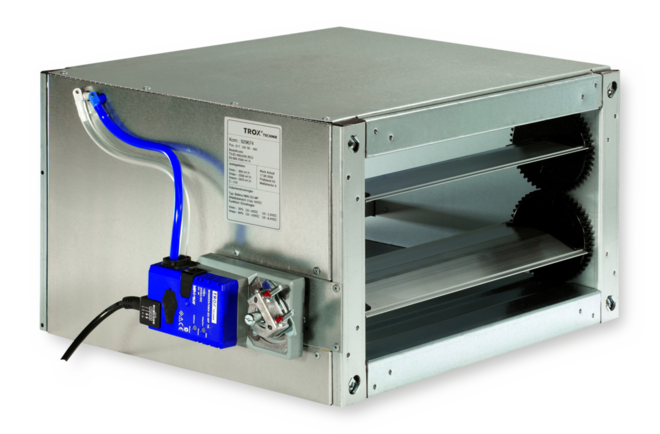 The minimum differential pressure of VAV terminal units is an important factor in designing the ductwork and in rating the fan including speed control. 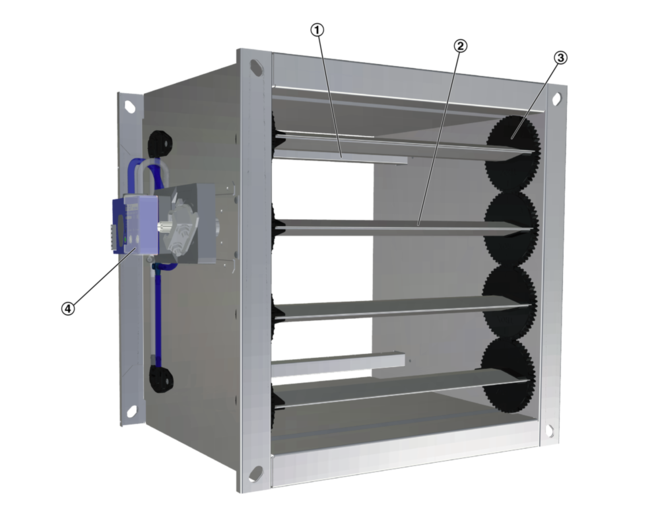 Sufficient duct pressure must be ensured for all operating conditions and for all control units. The measurement points for fan speed control must be selected accordingly. The volume flow rates given for VAV terminal units depend on the nominal size and on the control component (attachment) that is installed. The table gives the minimum and maximum values for a VAV terminal unit. 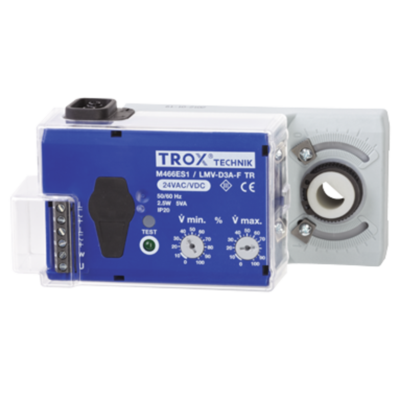 Some control components may only have a limited volume flow rate range. This applies in particular to control components with a static differential pressure transducer. For volume flow rate ranges for all control components refer to our Easy Product Finder design programme. Quick sizing tables provide a good overview of the room sound pressure levels that can be expected. Approximate intermediate values can be interpolated. Precise intermediate values and spectral data can be calculated with our Easy Product Finder design programme. The first selection criteria for the nominal size are the actual volume flow rates Vmin and Vmax. The quick sizing tables are based on generally accepted attenuation levels. If the sound pressure level exceeds the required level, a larger air terminal unit and/or a silencer is required. 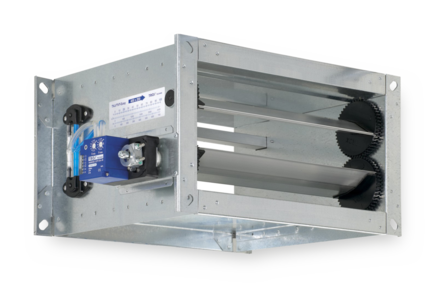 Rectangular VAV terminal units for variable and constant air volume systems, suitable for supply or extract air, available in 39 nominal sizes. High volume flow rate control accuracy. Ready-to-commission unit which consists of the mechanical parts and the electronic control components. 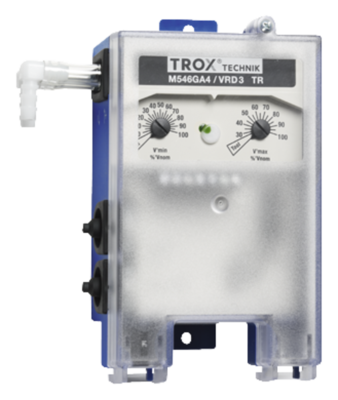 Each unit contains an averaging differential pressure sensor for volume flow rate measurement and damper blades. Factory assembled control components complete with wiring and tubing. Both ends suitable for the connection of ducts. Position of the damper blades indicated externally at the shaft extension. 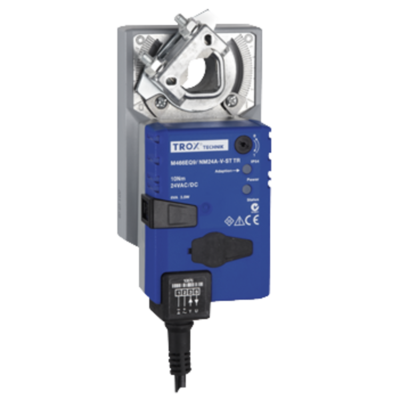 Variable volume flow control with electronic Easy controller to connect an external control signal; actual value signal can be integrated into the central BMS. Electrical connections with screw terminals. Double terminals for looping the supply voltage, i.e. for the simple connection of voltage transmission to the next controller.